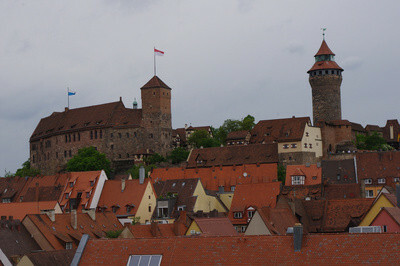 Being one of the economic and political centers in the middle age, the impressive history of the former Free Imperial City shows in any corner of the city center, dominated by the famous Reichsburg on top of the city. 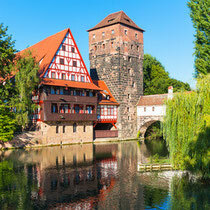 A stroll through Nuremberg’s Old Town is a great way to combine shopping and sightseeing. 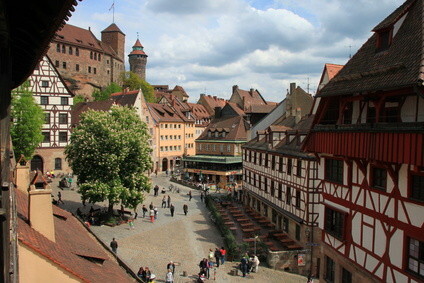 Museums, churches and twisted, romantic alleyways are just around the corner from the shopping district, modern specialty shops and department stores, the Craftsmen’s Courtyard or small and exclusive specialty shops. 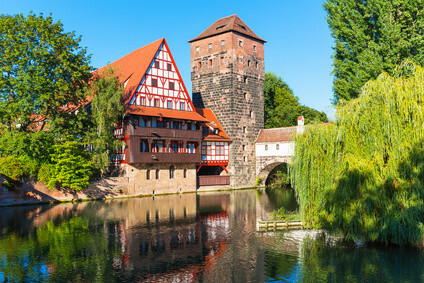 A tradition that also goes back to the middle age and still is famous today is the Christkindlesmarket before the holiday season. 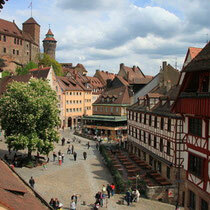 Hundreds of small shops sell presents, art craft, gingerbread, mulled wine and sausages and give a very special flair. 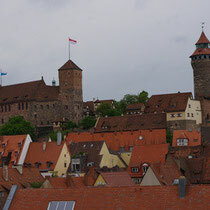 But the city has as well its modern history – being center of the Nazi doctrine and host of the Party Rallies and after World War II being place of the Nuremberg Trials, which can be visited in the documentation center.